I don't know if we can call it a portrait but I wanted to paint some natural environment , so what is better than a little Mowgli by the giant trees...?! Merci Francoise. Des branches tres "serpentines" n'est-ce pas? Thanks Deberg, the idea of getting out of big cities and of their all madness and pollution ( I'm talking about Shanghai!!). Oh my god! I love this movie Great picture! In a fantastic technique! I love this! You're welcome! It's a fantastic picture! And you as a child - that's so nice! So Mowgly was based on your model? Congratulation for the Portrait of the Day! I love your picture! Superbe Portrait du jour ! Félicitations ! C'est magnifique, j'adore!!! 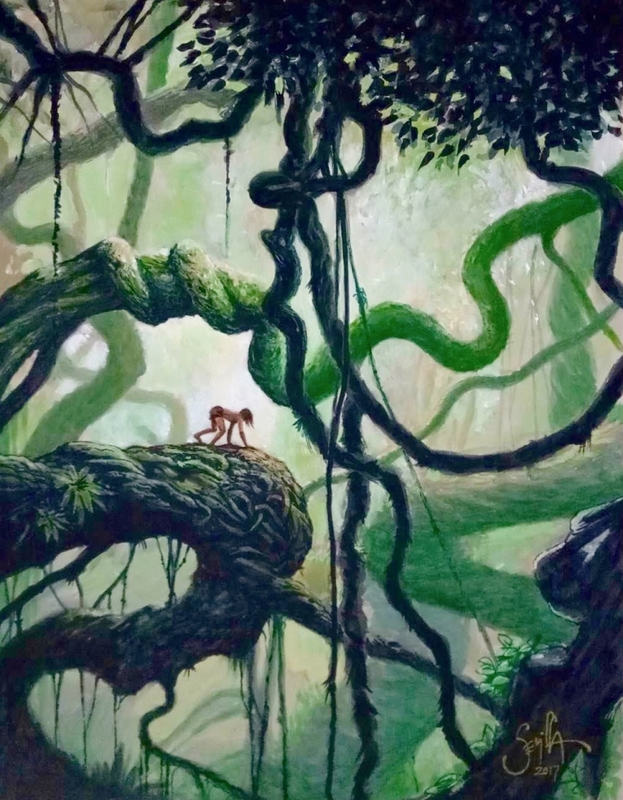 Cette aquarelle splendide devrait être dans les pages d'une édition du livre de la jungle!! !